The Oklahoma Coalition was formed in 1976 and incorporated in 1987 by many of the individuals and organizations that are still active members today. 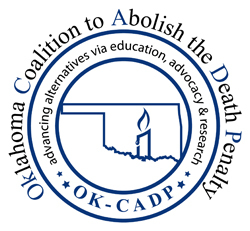 We work together to end capital punishment in Oklahoma through public education, community connections, advocacy and research. 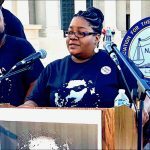 We are affiliated with the National Coalition to Abolish the Death Penalty. We also seek to support persons who are under a sentence of death, their families and friends; victims of violent crime, their survivors and families; and sponsor/endorse other congruent organizations’ events. We assist in soliciting monetary contributions for executed prisoners alternatives to burial in the Oklahoma State Prison cemetery when requested. As a nonprofit, membership corporation (501(c)(3) we operate through individual and organization contributions and are managed by a Board of Directors. 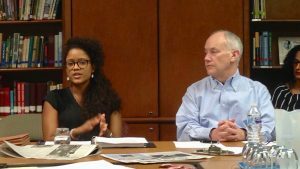 The Board consists of one member selected by each Organization Member and seven At-Large members who are elected by the membership at our Annual Membership Meeting & Awards Dinner held each spring. 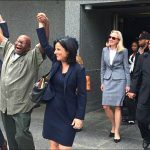 Membership is open to any person or organization that opposes capital punishment. Any Oklahoman who opposes the death penalty can join. Joining does not require dues or a donation, though we encourage members to help with our financial needs. Join and subscribe to our mailing list. If your organization would like to join us, please follow these guidelines. Any member is welcome to attend our monthly board meetings.